In Mahayana Buddhism, the Tathagatagarbha doctrine (tathāgatagarbha) teaches that each sentient being contains the effulgent Buddhic element or potential to become a Buddha. «Tathagata-garbha» means «Buddha Womb/ Buddha Matrix» or «Buddha Embryo», and this notion is explicated by the Buddha in the «Mahayana Mahaparinirvana Sutra» as the «True Self» within all sentient beings — the unconditioned, boundless, nurturing, sustaining, deathless and diamond-like Self of Buddha, which is indiscernible to worldly, unawakened vision as a result of the masses of negative mental states and general moral taints which envelop it. Tathagata is one of the ten epithets for a Buddha. The Tathagatagarbha doctrine arose with the Mahayanists and later became linked with those who were associated to some degree or another with Yogacara studies, aiming clearly to account for the possibility of the attainment of Buddhahood by ignorant sentient beings (the «Tathagatagarbha» is the indwelling «bodhi» — Awakening — in the very heart of Samsara). Three of the most important early texts for the introduction of this doctrine are the Tathagatagarbha Sutra, the Śrīmālā-sūtra and the Awakening of Faith; the «Mahayana Mahaparinirvana Sutra» and the Anunatva-Apurnatva-Nirdesa sutra are also vital texts for a fuller understanding of «Tathagatagarbha» teaching. The Tathagatagarbha doctrine is closely related to the notion of the Buddha-nature; indeed, in the Mahayana Mahaparinirvana Sutra, which is the lengthiest sutra dealing with the immanent and transcendent presence of the Tathagatagarbha within all beings, the terms «Buddha-nature» («Buddha-dhatu») and «Tathagatagarbha» are presented as essentially synonymous. Caution is required when considering this doctrine, so that the Tathagatagarbha does not become minimised or dismissed as a mere metaphor with no actual reality in the here and now (it is incorrect from the perspective of the Tathagatagarbha sutras to view the Garbha solely as some future as yet non-existent potential); equally, it is erroneous to construe the Tathagatagarbha as some tangible, worldly, changeable, personalised, desire-driven «ego» on a grand scale, similar to the «fictitious self» comprised of the five mundane skandhas (impermanent mental and physical constituents of the unawakened being). The Tathagatagarbha is indicated by the relevant sutras to be the ultimate, pure, ungraspable, irreducible, invulnerable, true and deathless Quintessence of the Buddha’s liberating Reality, the very core of his highest being (Dharmakaya). The Tathagatagarbha is, according to the final sutric teaching of the Mahayana Nirvana Sutra, the hidden interior Buddhic Self (Atman), untouched by all impurity and grasping ego. In modern-Western manifestations of the Zen Buddhist tradition, it is considered insufficient simply to understand Buddha-nature intellectually. Rather it must be experienced and felt directly, in one’s entire mind and body together. 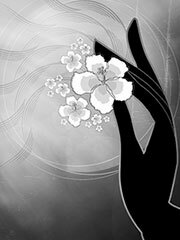 Enlightenment in a certain sense consists of a direct experience of one’s authentic identity, which is traditionally described as śūnyata (emptiness), the ultimate reality of Buddha-nature. The Zen tradition often uses parables to try to explain the Buddha-nature: according to one story, a monk once approached the Zen master Chao-chou (Japanese: Jōshū) and asked him, «Does a dog possess Buddha-nature or not?» Chao-chou replied with the one-word answer «Wú» (pronounced «mu» in Japanese). His response, which among other things constitutes a negative term and the sound of a dog barking, indicated that the question could not be answered with a straightforward assertion or negation. Rather, through the contemplation of the question, or the absurdity of it, one may perhaps gain an experience of Buddha-nature directly. Buddha-nature (Awakened-nature) has been connected in recent decades with the developments of robotics and the possible eventual creation of artificial intelligence. In the 1970s, the Japanese roboticist Masahiro Mori popularized the idea that robots, under certain conditions, may possess Buddha-nature. Mori has since founded an institute to study the metaphysical implications of such technology. The implication or the question is, can a perfect simulation of intelligent outward behaviour really light the inner spark of a self-aware consciousness principle in an artificial entity? Given the doctrine of anatman, is there any difference between the subjective experiences of a robot that acts intelligent and an animal that is intelligent? Key texts associated with this doctrine are the Tathagatagarbha Sutra, which contains a series of very striking, concrete images for what the Tathagatagarbha is, The Lion’s Roar Discourse of Queen Srimala (Srimala Sutra), which states that this doctrine is ultimate (not provisional or «tactical»), as well as the «Mahayana Mahaparinirvana Sutra«, which likewise insists that the tathagatagarbha teaching is «uttarottara» — absolutely supreme.